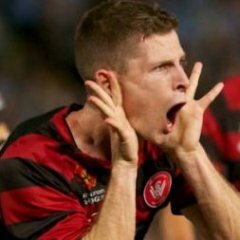 Note 1: Western Sydney won after a penalty shootout. The game finished 1-1 after 90 minutes, 2-2 after extra time then 4-2 in the penalty shootout. Note 4: This was Tony Popovic's last competitive fixture as Wanderers manager, as he quit the club shortly after to join a club in Turkey. Where's a good place to park? BCFC would like to advise all spectators that are attending our FFA Cup match on Wednesday to park their vehicles at Seven Hills Railway Station Car park which is located a short distance from Lily Homes Stadium. and is free. Parking will be limited at the venue as it is located in a high residential area. I've got a spare ticket if any of the forum regulars wants it for face value. Happy to email. Just message me. Any recommendations for a pre-game feed? I'm thinking of pizza or stopping over at El Jannah on the way. Any help appreciated, please. anyone know how many tickets they've sold all up for this. hoping they didnt chuck up the sold out sign, to later find out that the council has capped the capacity to 2000. Capacity is around 5k with 4.7k going to public. That route supplied by Blacktown City is ok, but I think an easier route and better at night is to exit the car park and walk down Prospect Highway, turn left at the lights into Lucas Road, right again at the lights into Quinn Ave and straight ahead about 100 metres to the ground. I've lived in Seven Hills for 21 years and been to the ground many times. To the other person asking about where to eat, Lilys Restaurant next to the ground has $10 pizza specials every Wednesday, haven't been there for quite a while so can't really comment on the quality. It's yours if you want it. Let me know. Bringing two yanks to experience suburban Westie football. Will be getting the train home from work and getting off at Seven Hills. Any word on lineup big T? 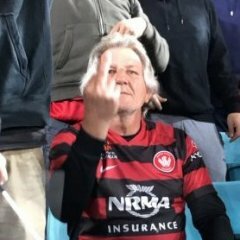 I wrote a 500 word reply to a survey Wanderers Corp LTD sent to everyone. In it I described such efforts be made by the club to make it appear simple for fans to get to the home games. If an old school NPL club feels the need to do it, why doesn't ours? Let's hope there aren't train delays huh? Get the fast train to Seven Hill. Opposite hope street there is Salvo car park pretty big. Two in, we must win this one. I'm not taking the train, but I have friends who get stuck on the western line every week when there are massive delays due to signal failures, cars on the tracks and fatalities. Just ask Pup and Jacko. Seems to be the most interrupted line in recent memory. Plus it's a WSW game, so you know there'll be track work scheduled. Katie Patterson to referee the FFA cup Quarterfinals between Blacktown City FC and WSW. Hope she referees a good match. there is no fast train to seven hills. if you're heading from penrith catch the fast train to blacktown and change there, if you're heading from the city either change at parra/westmead or blacktown. There are 'fast' trains to Seven Hills but depends on your definition of 'fast'. Take one that doesn't stop at Toongabbie, Pendle Hill and Wentworthville !! Photos on WSW Facebook show entire squad trained at Lily Homes stadium today.